Tuck School of Business | Does Cash Flow Matter? Professors Jonathan Lewellen and Katharina Lewellen take a more nuanced look at corporate cash flow and investment—and find a strong correlation. Quantifying the degree to which cashflow affects firms’ investment decisions is one of the more confounding problems in investment theory. Common sense suggests that managers should invest more when cash is readily available and less when it is scarce. But drawing a clear correlation has proven difficult, in part because the question is so multifaceted. 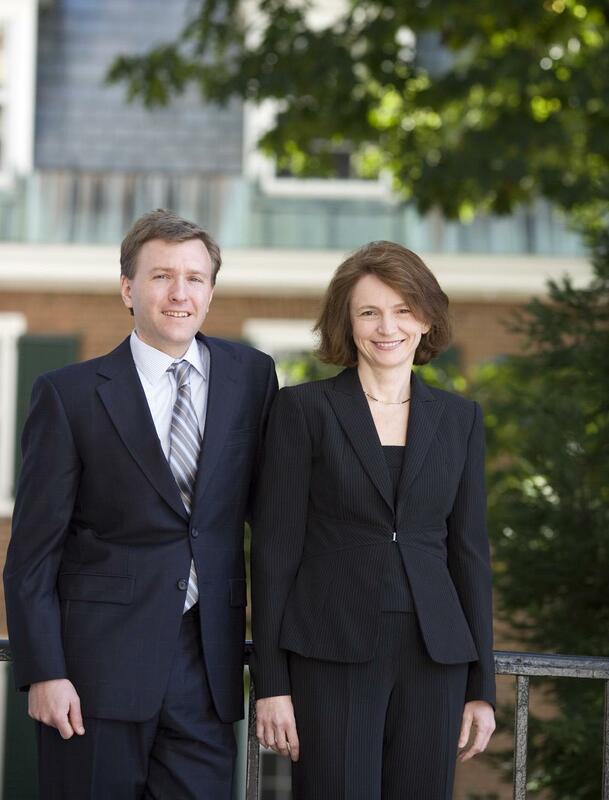 In their forthcoming paper, “Investment and Cashflow,” Tuck professors Jonathan W. Lewellen and Katharina A. Lewellen create what may be the most nuanced analysis yet of the relationship between the availability of money and how firms spend. “Most of the literature argues that investment has a positive sensitivity to cashflow, but there is not much consensus on the magnitude of that correlation,” says Katharina Lewellen. They discovered a much greater correlation than previously reported. “The numbers we had were striking,” says Jonathan Lewellen. “Investment does seem to be very responsive to a firm’s cashflow.” Recent research suggests an investment correlation of about 0.10 or 0.15. In other words, for each dollar of additional cash flow, firms would be expected to increase investment by 10 or 15 cents. The authors' research puts the correlation at 0.59 for unconstrained firms and 0.75 for those with cash flow constraints. The authors believe they arrived at a higher correlation than most previous studies in part because their model accounts for more variables. “If somebody argues that firms don’t spend the money they have available, then it has to show up somewhere,” Jonathan Lewellen says. “It can’t be that they’re not putting it in the bank, they’re not paying down debt, and they’re not investing it.” Analyzing data from a large cross-section of 1,400 U.S. firms between 1971 to 2006, the Lewellens account for all of the ways a firm can spend money, not just capital expenditures. They divide spending opportunity into seven basic categories and track all of them. The Lewellens also created a more refined measure of cash flow and investment using data from Statements of Cashflow and company balance sheets; used the market-to-book ratio of assets as a proxy for Tobin’s Q, the ratio between a firm’s market value and its replacement cost; and determined whether firms were constrained or unconstrained in their ability to raise cash. Jonathan Lewellen, whose research has been aimed at understanding the stock market, was drawn to study the cashflow-investment correlation because it is central to the way large firms operate. The subject was equally enticing to Katharina Lewellen, whose expertise is in management. Katharina brought to the project a deep knowledge of the literature and the science of decision-making. Jonathan contributed expertise in the investment markets along with some new ways of looking at the problem.